For more than 35 years it has been our mission to create the absolute best-in-class climate comfort for our customers. Every customer deserves the best climate solution. And every application is unique. Our philosophy is to work directly with our customers to get a deep understanding of their unique climate goals and then select the perfect combination of products and configurations to deliver the absolute best performing climate solution. With more than 75 engineers and a dedicated technical sales team, MCC can help you select the right products to ensure the most comfortable and safest ride for your drivers and passengers. 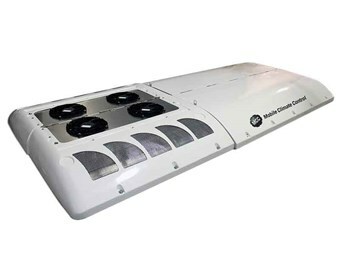 MCC products are designed to provide the best climate experience. Our extensive portfolio of high-performance cooling and heating products is one of the broadest and deepest available on the market. No matter the size of the bus we have a product ready for you! MCC products are not just designed for performance, they are also designed for reliability. All of our products have been subjected to rigorous testing, ensuring that our products are easy to service and will stand the test of time. With thousands and thousands of products in the world providing our customers with climate comfort, we can comfortably say choosing MCC as your climate partner is a decision you won’t regret. Our Australian operations are located in a suburb of Melbourne, Victoria. This location serves as the base for our sales and service organisation as well as our spare parts warehouse and distribution centre. Having a strong aftersales support network is a fundamental part of our business and we have close relationships with several large and reputable dealers and service agents to ensure our products and customers are fully supported across Australia. In 2016, MCC was contacted by one of our major bus OEM customers with an exciting project for one of their key customers. The project involved the design of a new 2-axle coach to be used for long-distance route linking Canberra and Sydney. A fundamental aspect of the project was to ensure the climate system could handle the varying conditions of the 280km journey. MCC’s Australian technical sales team worked closely with both the bus OEM and the operator to design the optimal climate package that combined optimal passenger comfort and powerful demisting for driver safety and comfort. The first buses rolled into operation in 2017 with critical acclaim and praise from the bus OEM, operator, driver, and most importantly, the passengers! Our extensive portfolio of high-performance cooling and heating products is one of the broadest and deepest available on the market.